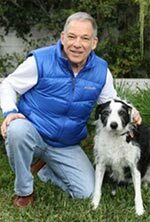 Richard Polsky, Ph.D., an expert witness on police dog bites, investigated 30 cases of dog bite attack by a police K9 on an innocent bystander. The results of his investigation and his expert opinion about the dangerous nature of police K9 are presented below. Innocent bystanders are occasionally the victims of police canine dog bite attack. 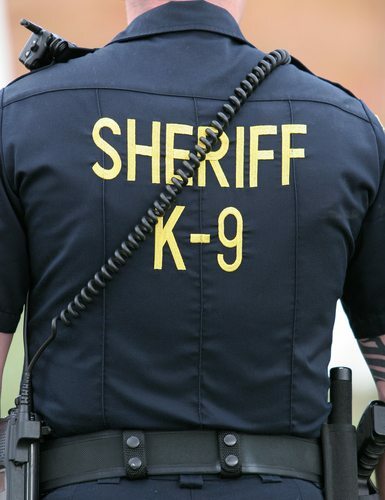 Many instances of this kind of dog bite attack happen when the victim is standing near a patrol car and is attacked by the dog who manages to escape from the car. In other instances, the victim may be walking on a public street and inadvertently comes into the path of a police K-9 searching for a suspect, and then is attacked by the dog. In short, no manner how much it might be downplayed by the police, the reality is that dog bite attacks by police canines on innocent bystanders happen, and the injuries inflicted are often severe. Police are reticent to disclose information about attacks on innocent bystanders. Moreover, little is known about police dog bite attack on innocent bystanders from an epidemiological point of view. There are few if any studies in the literature that describe the circumstances in which these attacks occur, or variables associated with their occurrence. On other parts of this website, I have written about the inherently dangerous nature of police canines. An analysis is therefore needed to discover basic information about these kinds of attacks. For example, who is attacked, body location where the bite is inflicted, whether multiple bites occur, the breed of the dog involved, whether the canine was on a leash when the incident occurred, and whether the innocent bystander attack happened when the dog was in deployment dog to apprehend a suspect. The results from this study were presented at the annual meeting of the Animal Behavior Society in Boulder, Colorado in July 2013. Information gleaned from the cases included (a) Whether the canine had been “deployed” by its handler; (b) Whether the dog was on leash vs. off leash at the time of attack; (c) Gender of the victim; (d) Breed of dog involved; (e) Time of occurrence, and (f) The area on the victim’s body where bites were inflicted. 32% of the attacks on an innocent bystander happened when the canine was not in service or in pursuit of a suspect. In 16% of the incidences, the victim was bitten in one body location, usually the arms or legs. This result differs from a previous study which found that bites inflicted by K-9 police dogs to a suspect which they apprehended, were usually delivered to the torso and head. In 77% of the incidences, the victim was male. The reasons for this gender difference are not fully understood. Based on my investigation it becomes obvious that some police dogs should not be trusted. They provide an invaluable tool for police and the apprehension of criminals, but regardless they still present considerable risk to public safety. Police K-9 handlers need to select, train and handle their dogs in a manner that reduces this risk.